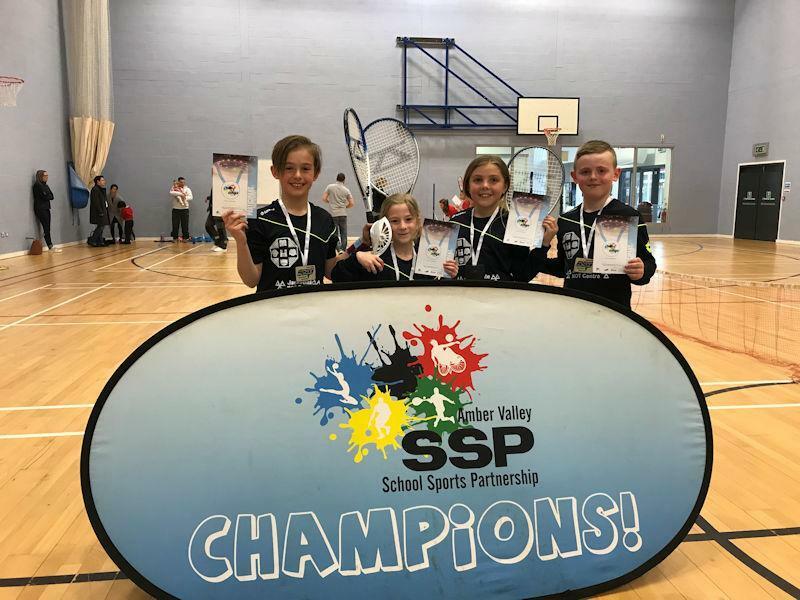 On Wednesday night, four of our children went along to Ecclesbourne School to play in the AVSSP Y3/4 Mini Tennis Borough Finals as one of the top 4 teams in Amber Valley, having won the Heanor Cluster competition. Each of them would play 3 matches against opponents from Heage Primary, Pottery Primary and Riddings Junior - last year's champions - to decide who would be 2018/19 Borough Champions. All four of our children played some fantastic tennis on the night, winning 9 of the 12 games they played, having improved greatly on their cluster competition performances and setting a really high standard of tennis. In the end, we ran out Borough Champions – the first time our school has achieved this feat – and an amazing result which will see our Mini Tennis team attending the 2019 Derbyshire Schools County Finals! Terrific Tennis skills boys and girls and thanks as always to parents for your support.